Most people know the Screen Actors Guild from the problems surrounding The Hobbit, but they’re actually a respected organization that has yearly awards ceremonies. Last night’s SAG Awards went off without a hitch, but featured a lot of great moments that you won’t see on stuffier awards ceremonies. Here’s the complete winner’s list from last night’s SAG Awards; for those of you who don’t have the time to read about the full run-down, here’s the top ten moments from the SAG Awards. As expected, Betty White was a highlight. Then again, Betty White is a highlight of everything she’s involved in. 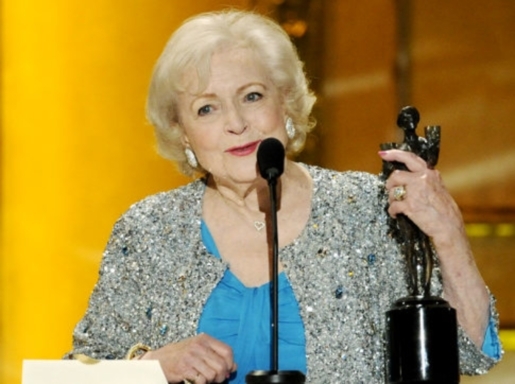 She also won the best actress in a comedy series award for her new show, Hot In Cleveland. On the movie side, the 2011 SAGs mirrored the 2011 Golden Globes almost exactly. Christian Bale and Melissa Leo repeated from the Golden Globes as supporting actor and actress winners for The Fighter. Colin Firth and Natalie Portman were also repeat winners, while Firth’s The King’s Speech took best picture.